IDEMIA has announced the launch of MorphoTabletTM 2i by IDEMIA, the first mobile biometric terminal supporting fingerprint, face and iris. Biometrics are by far the most convenient and reliable means to identify and authenticate people. For law enforcement, border control, critical infrastructure protection, civil enrolment and elections, or firms that want to check employee/visitor IDs, the use of MorphoTablet™ for fingerprint and facial recognition has already proved invaluable. Today, IDEMIA has taken that solution to a new level. 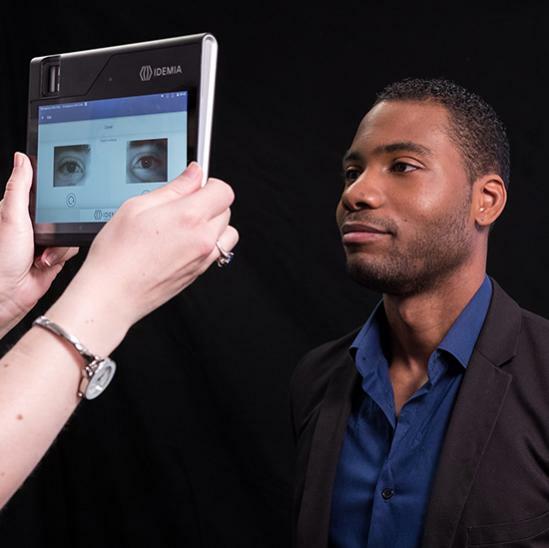 MorphoTablet™ 2i by IDEMIA enables improved universality and security by including all three biometrics in one mobile terminal: fingerprint, facial, and now iris. In civil society, for example, MorphoTablet™ 2i can help authorities to securely enrol population onto a government program, ensure that they only vote once in an election or authenticate citizens for the renewal of their ID documents. To comply with KYC requirements in sectors such as financial services or mobile telecommunications, it can deliver rapid, digital onboarding of new customers. Meanwhile, thanks to the speed of iris recognition with MorphoTablet™ 2i companies can achieve the highest levels of building security in a seamless way, or use the terminal to record time and attendance of employees.